Walmart's historically large stock decline since its earnings report has made hundreds of millions of dollars for short sellers betting on shares to fall. It's been a long time coming for speculative Walmart bears, who incurred over $1 billion in losses wagering against the company's stock in 2017. As Walmart slogs through one of its toughest patches in recent history, one group of investors has been left smiling: short sellers betting the company's stock will fall. 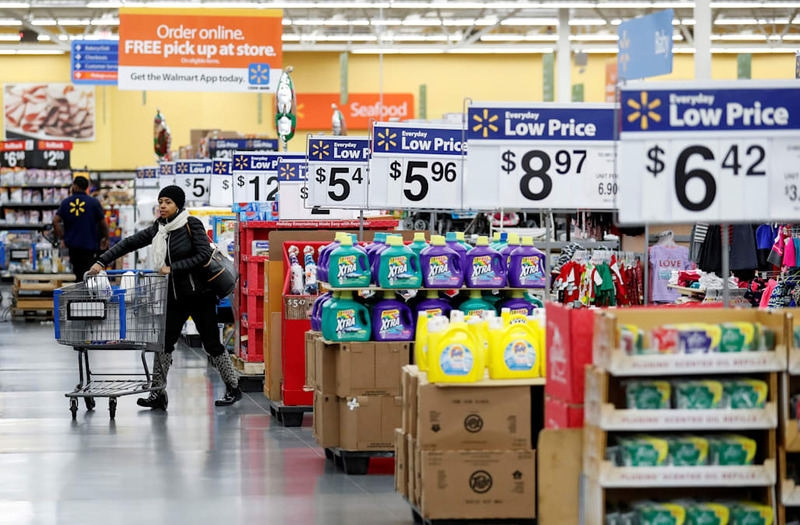 Walmart's stock dropped more than 10% Tuesday, its biggest single-day loss in 30 years, on reports online sales growth slowed considerably last quarter. The share decline then stretched into a second day, bringing the company's loss to 13% since the earnings disaster. Positioned to capitalize on this type of weakness, short sellers have raked in $548 million in mark-to-market profits since the start of February, according to data compiled by financial analytics firm S3 Partners. Their strong performance this month has been enough to reverse losses incurred in January, bringing the group's year-to-date net profit to $279 million, the data show. Details for this year's Hatchimals toy have not been released yet, but Walmart still expects it to be a big seller. As the chart below shows, short sellers have been waiting a long time for this type of reckoning for Walmart. They hiked short interest — a measure of bets that a stock will fall — by $823 million, or 43%, in 2017. And they kept going in January as Walmart shares reached new records. Still, speculative Walmart bears will have their work cut out for them if they're going to take a bigger bite out of their $1.2 billion mark-to-market loss last year. But they might not be patient enough. S3 notes that many short sellers have already been taking profits on their positions since late January — something that's likely to continue as stock weakness persists. As for what the future holds for these short speculators, S3 says that's really up to them, depending on how they view Walmart's ongoing battle with another titan of retail: Amazon. "If traders think that Amazon.com will continue to be a market disruptor and eat into Walmart's market share and drive down margins, we should see Walmart short interest climb," S3 wrote in a client note. "But if traders think Walmart can hold its ground and repel Amazon’s advances, Walmart short interest should continue to decline."